Yes, they do make sweet little bishop length slips in sizes to fit your baby toddler, or little girl! 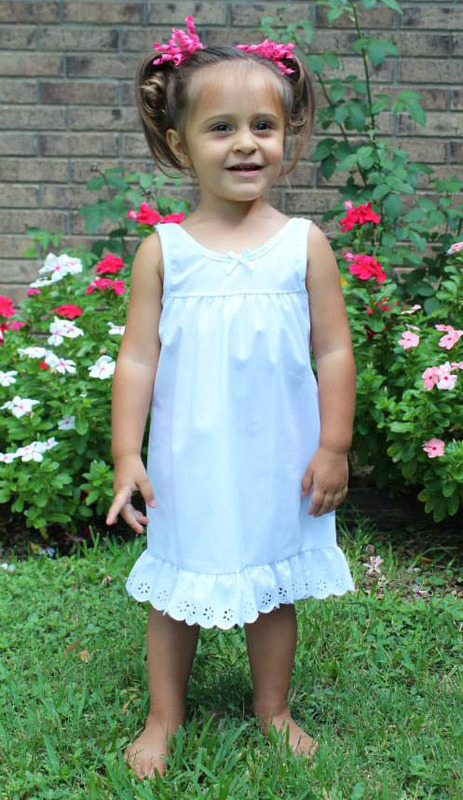 Here's a darling little cotton blend batiste slip trimmed with eyelet with adjustable straps. Perfect under all bishop style dresses, tea length dresses, and all longer styles. This sweet slip will also work well for shorter christening gowns. 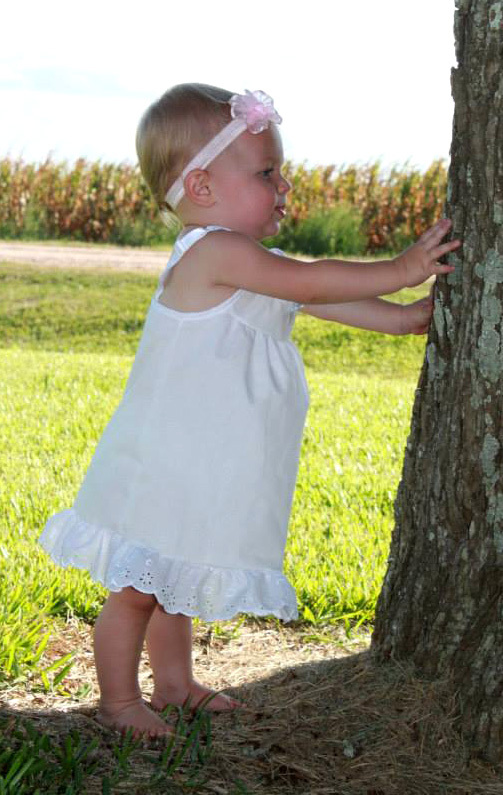 So sweet and feminine for babies, toddlers, and little girls! size 3 months length=14" to 15½"
size 6 months length=15" to 16½"
size 9 months length=16" to 17½"
size 12 months length=17" to 18½"
size 18 months length=18" to 19½"
size 2T length=19½" to 21½"
size 3T length=22" to 23½"
size 4T length=23½" to 25"
size 4 length=26" to 27½"
size 5 length=27" to 28½"
size 6 length=27" to 28½"
size 6x length=28" to 29½"
These slips run small. Please measure carefully and order by length desired rather than by the baby's age.